From left: Angela Aina, Elizabeth Dawes Gay, Others at the #BMHC18 put on by the Black Mamas Matter Alliance. And two black women (it’s always black women isn’t it? 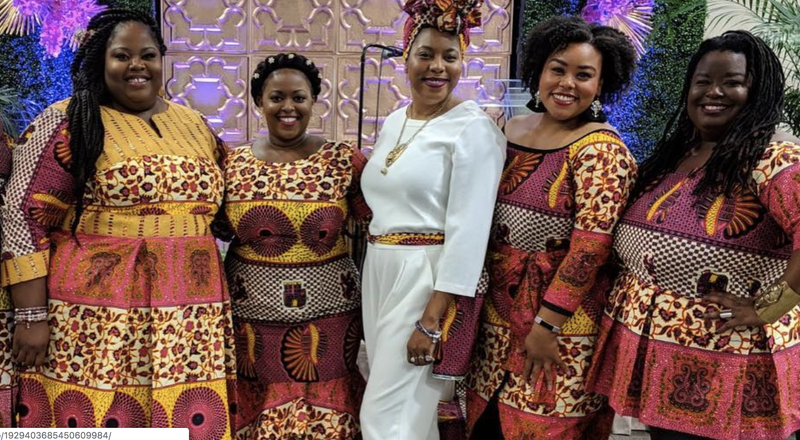 ), in their quest to not only restore us to our traditional greatness but to save our lives, created the Black Mamas Matter Alliance (BMMA) which convened its first national “Black Maternal Health Conference and Training Institute” (#BMHC18) in Atlanta this month. who continue to die from complications related to childbirth at crisis rates— using the birth justice, reproductive justice, and human rights frameworks. Elizabeth Dawes Gay and Angela Doyinsola Aina, co-founders of BMMA, have been putting in work to save the lives of black women for years. The statistics are sobering: Black women are nearly four times more likely to die from pregnancy-related causes as their white counterparts, according to the Centers for Disease Control (CDC) ; for every white woman who dies in the first year of giving birth, there are 44 black women. More than half of all deaths have been deemed preventable by the CDC. But beyond knowing that black women are dying at astronomic rates, Gay and Aina wanted to be purposeful in finding solutions. With incredible plenary sessions featuring National Birth Equity Collaborative Founder and President Dr. Joia Crear-Perry; veteran midwife, doula trainer Birthing CHANGE Founder and Erykah Badu teacher, Shafia Monroe; Ancient Song Doula Services Founder and Executive Director Chanel Porchia-Albert; and Restoring Our Own Through Transformation Co-Founder and CEO (ROOTT) Jessica Roach to sessions including “Trauma-Informed Approaches to Interacting With Black Pregnant Mamas;” “What’s In Our Environment: Maternal Health, Reproductive Health and the Environmental Connection;” and “For Us By Us! Impacting Maternal and Child Health Disparities by Implementing Evidence-Based Care Community Wide,” BMMA was laser sharp in its vision and intention: that is, to decrease the number of black women dying, by going to the source (black women) to do so. We are eternally grateful for the two women who founded the BMMA, because they are out here saving our own lives. There’s probably no higher purpose than that. Who do you think best embodied purpose this year? Sound off in the comments. For each day of Kwanzaa, the African-American cultural holiday that eschews the typical commercialism of the holiday season, we will be highlighting a person or persons from the past year who exemplifies the principle of the day. Kwanzaa was created in 1966 to uplift a sense of community through the principles of unity, self-determination, collective work and responsibility, cooperative economics, purpose, creativity and faith—all things which have helped us to survive since we were dropped here on these shores some 400 years ago.